Bombaystic, Neela Vermeire Creations Bombay Bling! I was really surprised when Neela Vermeire sent me a message over Facebook with an offer of sending me a sample set of her three fragrances. I just couldn’t say no to such a lovely and generous offer from Neela. 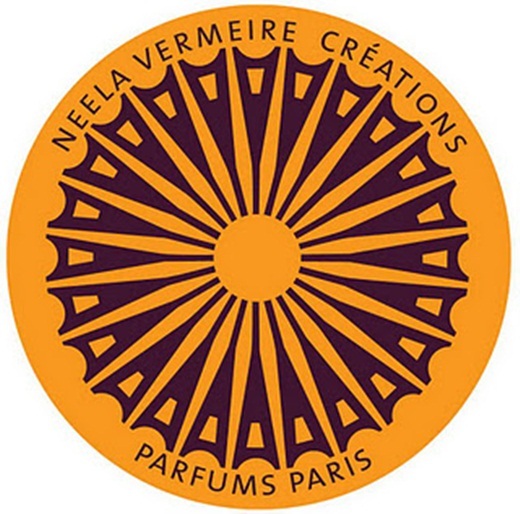 Within a week I got a small parcel from Paris with three perfume vials and a tiny Neela Vermeire Creations logo card with hand-written note on it. Bombay Bling! is the first one of the trio I decided to review. It’s a fantastic perfume and I had so much fun wearing it! The opening offers you a fruity smell. Combination of mango, lychee and black currant is luscious, happy and absolutely mouthwatering. Out of the fruits mango is the most pronounced. It smells so well blended and smooth that actually I would say that opening of Bombay Bling! is a tropical mango smoothie! Delicious, kind of creamy and full. 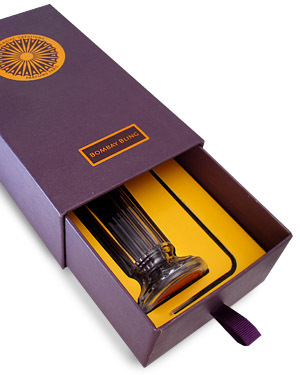 I would be in heaven if someone offered me a dessert smelling exactly like the first part of Bombay Bling! After some time all fruits turn lighter, but they don’t disappear – they’re still in the background. About 20-30 minutes later Bombay Bling! turns floriental. It smells of lovely and fresh rose and creamy frangipani sweetened by delicate vanilla accord. At this point Bombay Bling! continues to smell like a tasty gourmand perfume. Then it becomes more woody and spicy though these notes are really toned down. We’ve got some tobacco, labdanum and cardamom. All lovely, all light, working pretty well with sweet, fruity and floral notes. In its later stage, somewhere around third hour from applying, Bombay Bling! shows its white floral notes. Jasmine, tuberose and gardenia are rather light-hearted in this Neela Vermeire Creations fragrance but they definitely mark their presence at this poing of development. There’s also some pleasant sandalwood. Notes list mentions patchouli as Bombay Bling! ingredient. I really couldn’t smell it there as well as caraway but I believe Neela used some. Ylang-ylang extends the creamy feeling from an opening phase while cedar is responsible for making a solid base. Neela Vermeire Creations Bombai Bling! is really unusual perfume. Juicy, delicious and well rounded. I think I’ve never smelled perfume with this prominent and joyful mango note. It composes with lychee and black currant in a lovely way. The whole fragrance is well made and long lasting. 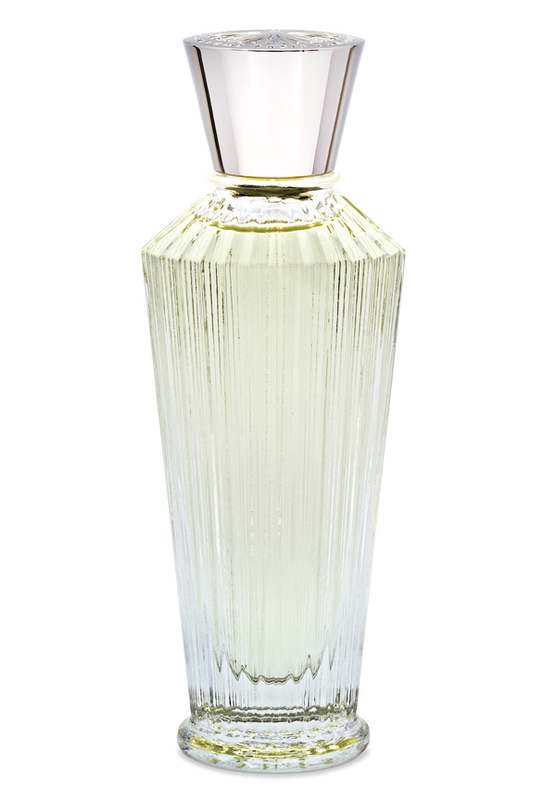 As all perfume it becomes lighter and lighter every hour. That’s a normal thing. The most important fact is that its smell stays with you all day long, making you smile as many times as you wish. I’ve never been to India before. When I smell Bombay Bling! I imagine big bazaar full of fruits and vegetables stands, crowded with people, where all those fruity aromas mix in the air. You can walk around, touch, smell and try everything before you buy. Bombay Bling! was created by perfumer Bertrand Duchaufour and it’s available in sample set trio, as 10 ml discover set or 55 ml refillable bottle, EdP concentrated. I love Bombay Bling! and I really hope it gets all the love it deserves and sells well. I see a full bottle of this perfume in my future. It’s extremely lovely! I think that NVC line will become a really popular brand, it’s just a matter of time. You would smell great owning a bottle of it. By the way, are you preparing for Swapmania tomorrow? I love your word “floriental”… I will no doubt use that some day in a review! Bombay Bling is fantastic like all of the NV Creations. This is perfect to wear on a gray day, it will help to lift your spirits! Glad you liked the review. Bombay Bling! is such a happy scent, really good to bring a smile to your face on a bad, cold and gray day. I adore this one!!! Sooo good!!! Of the three, Bombay Bling has definitely caught my attention the most. I don’t usually think of myself as a “fruity fragrance” personl, but that mango beginning is amazing. BB is a bit spendy for me, but a decant of this has moved near the top of my wishlist and triggered an exploration of the mango/peach note in perfumery. I know those perfumes are pricey but you can always have a decant or order the discovery trio, they’re 10ml each I think. This is one of the few fruity scents I actually like. I like all three NVC perfumes, Trayee being my favorite. Bombay Bling is my second favorite. It’s sweet but there’s so much more going on it it than the fruit. I found the vanilla very strong when I tried it, even more so than the fruit aspect. I keep the small one in my desk at work. If I forget to wear perfume that day I use it. The children seem to like it. On my it was all mango. Like the idea of having in on your desk. Just ordered a sample set myself! Am looking forward to trying everything. Something mango sounds like the perfect thing to yank me out of this beginning of winter funk! Thanks for the great review! Good for you. Have fun experiencing NVC scents. Hope to hear back from you how they were. Great review – this seemed to have received a lot of love from perfumistas. I’ll have to check it out – maybe I’ll get a sample through the posse swap . I have not yet posted anything but will do so – probably just a short list though since I keep seeing posting issues and posts disappearing! Thanks! And yes, it gets a lot of love, it’s worth trying. Maybe you’ll get one at Swapmania, if not, you can always order one.